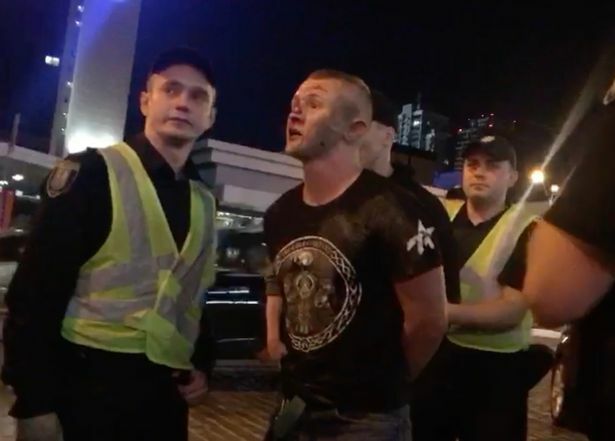 A violent incident took place in Kyiv, as a group of thugs attacked the fans of Liverpool FC in Kyiv on Thursday night. According to the Irish Mirror, the assault took place at a pub next to NSC Olimpiysky stadium, where Liverpool and Real Madrid will cross swords over the main trophy of UEFA Champions League. A group of 20 hooligans attacked the Liverpool supporters, throwing tables and chairs at them. The injured fans had several head and neck wounds, including lacerations. 50-year-old Jason Frost suffered the attack only four hours later after coming to Kyiv. He said: 'We were having dinner, completely minding our own business. I didn’t come here for this. I came to watch the football. We’ve been here for four hours and then we’re getting attacked. They came at us like a pack of dogs. It just kept coming. It was terrifying'. The police took in three men, two attackers and a Liverpool fan; they tended to the wounded, too.